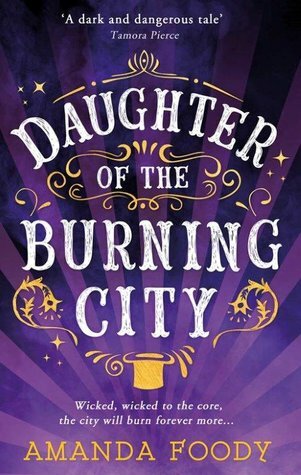 Blurb Description: Sixteen-year-old Sorina has spent most of her life within the smoldering borders of the Gomorrah Festival. Yet even among the many unusual members of the traveling circus-city, Sorina stands apart as the only illusion-worker born in hundreds of years. This rare talent allows her to create illusions that others can see, feel and touch, with personalities all their own. Her creations are her family, and together they make up the cast of the Festival’s Freak Show. I heard NOTHING but great things before I dove into Amanda Foody’s debut novel for months before I actually picked it up and dove in. A book about actual illusions ACTUALLY being murdered – shall we give it about 800 points of originality? 1. The first thing that threw me about this book was the pure INFORMATION DUMP that happened at the beginning. There were so many character names abilities and names being thrown my way, then the geographical structure and political machinations of a MOVING CITY/ FESTIVAL as well a continent always at war? SO MUCH INFORMATION THAT I WAS BASICALLY DROWNING. 2. 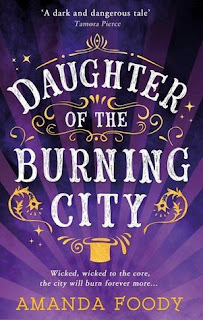 The opening scene of this book was about Sorina and her illusions and their Freak Show Circus and I didn’t get to know any of them AT ALL much less care for them before the first murder. This resulted in me being apathetic because I had about TWO scenes with this character (most of which I spent confused) and so this book didn’t shock me/ make me feel ANYTHING. 3. Like I said in the beginning, this book deserves ALL THE POINTS for originality. It was like nothing I’d ever read before with not a single trope overlapping from another book and I REALLY LOVED THAT. 4. While I spend most of the first half of the book CONFUSED and disconnected, I slowly began warming up to everyone and everything in the book as we went deeper into Amanda Foody’s dark world and more secrets about the Illusions, the politics and jynx-work was revealed. It was dark, twisted and dangerous and I loved every second of it. 5. While I initially didn’t care for them, Sorina’s family and Luca grew on me that by the time I closed the book, I’D FALLEN IN LOVE WITH ALL OF THEM. I loved the last chapter with the Freak Show and it was such a dark and happy book. 6. If you can’t already tell, I WAS A BUNDLE OF CONFLICTING EMOTIONS throughout the course of the book. I was confused and apathetic and then everything cleared up and I fell in love. I just wish the world building had been better and all of it wasn’t just dumped on me which made me contemplate not continuing on with this book. A dark, dangerous, intriguing tale that deserves ALL THE POINTS for originality. 3 stars. What have you read so far in 2018? Which book has been your favourite? 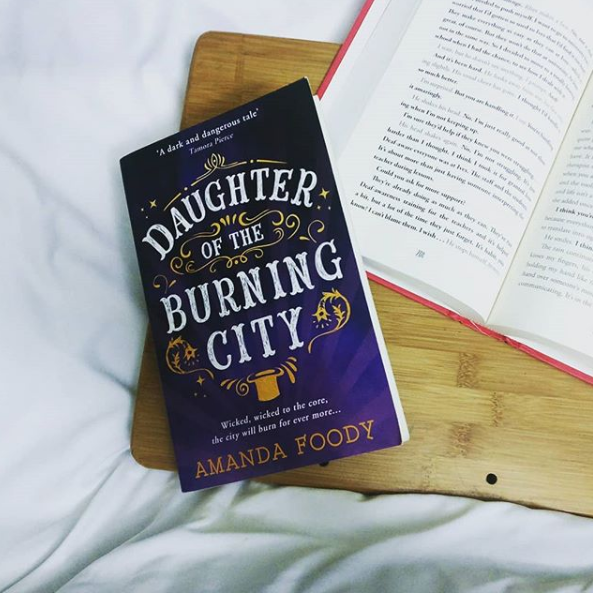 Have you read Amanda Foody's debut novel? What did you think of it? I'd love to hear your thoughts on the book!